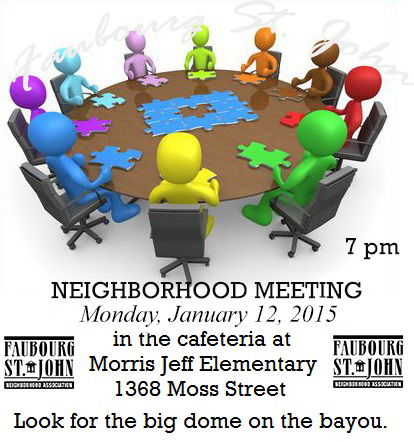 The Faubourg St. John Neighborhood Association will meet under the big dome on the bayou on Monday, January 12, 2015. See you in the cafeteria at Holy Rosary at 1368 Moss Street at 7 pm on January 12th. Rocky Seydel is a past president of the Faubourg St. John Neighborhood Association. He has been recognized by his peers as one of the top lawyers in the New Orleans area. He is an accomplished mediator and his ability to get along with anyone has served him and the community well. He has served as the chairman of the New Orleans Alcohol Beverage Control Board for many years. Rocky and his wife Meg started Voodoo on the Bayou over 25 years ago. This annual party has served as a great get-together and fundraiser for the Faubourg St. John Neighborhood Association. Rocky has been a champion of Faubourg St. John for decades and the neighborhood is lucky to have him! 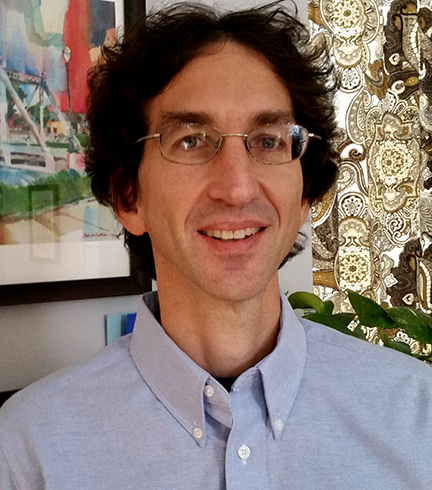 Steve Mardon is the current president of the Faubourg St. John Neighborhood Association. Steve is a freelance writer and editor whose work has appeared on websites and in newspapers, magazines, and newsletters, including Newsweek, the Times-Picayune, and the U.S. Department of Health and Human Services’ “Innovations Exchange.” He also has collaborated on three books on health, including The Harvard Medical School Guide to A Good Night’s Sleep. Steve lives on Bell Street with his wife, Kim, and their two daughters. 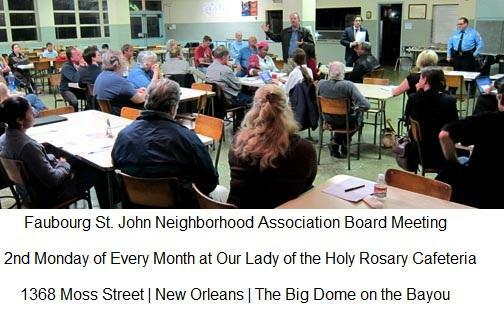 Jim Danner is the Vice President and Safety Director for the Faubourg St. John Neighborhood Association. Jim is also the Vice President and Principal Civil Engineer at Denson Engineering where he is responsible for civil and structural engineering design and analysis for a variety of domestic and international clients. Jim’s design experience includes structural and foundation analysis, building renovations, site improvements, utility systems, and marine designs. Jim has examined the Magnolia Bridge for the upcoming renovation and makes sure all the stages are structurally sound every year at Jazz Fest. Jim Danner is recognized by several Federal and State Courts as an expert in Civil and Structural Engineering. Board member Jimmy Fahrenholtz is a stalwart champion for Faubourg St. John. Jimmy has appeared on TV and voiced his advocacy for Faubourg St. John on radio. In fact, he even has his own radio show on WGSO AM 990. Jimmy is a major player in the success of the annual Porch Crawl in Faubourg St. John. His amiable personality keeps everyone going at the daiquiri booth at the Bayou Boogaloo. Jimmy is a retired lawyer and served on the Orleans Parish School Board. Seth Levine is a partner in Jones Walker’s Business & Commercial Transactions Practice Group and practices from the firm’s New Orleans office. His practice involves a wide range of commercial transactions, including financing transactions, real estate, foreclosures, and bankruptcy. Seth is a former president of the Faubourg St. John and lives in the neighborhood with his wife Alexis and their 2 children. Michael Cohn is an advocate for all things Faubourg St. John. He has a special interest in Faubourg St. John’s Community Garden at the corner of St. Philip and North Dupre and is a former president of the Faubourg St. John Neighborhood Association and also served as treasurer. Michael is currently employed as the Chief Financial Officer at the Historic New Orleans Collection. Michael holds a degree in finance from the University of Florida and an MBA from Tulane University. Michael lives on Ursulines Avenue with his wife Pam and their 3 children. 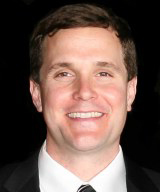 Greg Jeanfreau is a past president of the Faubourg St. John Neighborhood Association. He enjoys playing upright bass, guitar, and drums and restoring historic homes. Greg and his wife Winter love dining out at Faubourg St. John’s fantastic eateries and attending the wonderful festivals in the area throughout the year. Greg believes our indigenous culture is one of the best in the world and he has been a die hard Saints fan through good times and bad. Board member R. Erich Caulfield lives on Esplanade Ave. Erich is a management consultant and member of the Membership Outreach Committee. After three years working for the White House, and a total of five years in government, Erich founded a management consulting firm here in New Orleans. A Louisiana native, Erich loves the city and is active in a variety of community and regional organizations. His favorite things about the neighborhood are the events and festivals, City Park, the bayou, and the restaurants. Board member Sarah Stogner, and her husband Jeremy Adkins, live on Dumaine Street. 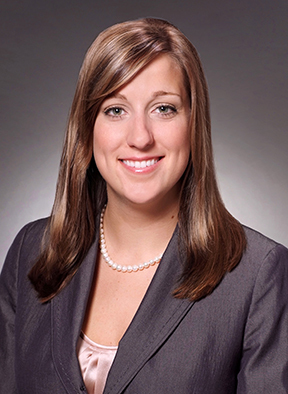 Sarah is a local attorney and member of the FSJNA zoning committee. She loves historic homes, obtained her realtor’s license last year, and enjoys helping friends and family with real estate ventures for fun. Jeremy has two boys from his first marriage and the couple is expecting their first child together in December, 2014. The family’s favorite things about the neighborhood are the bayou, Jazz Fest, and City Park. As you can see from the photo above, Charlie is guilty of being a constant advocate for our beautiful neighborhood. Board members Charlie and Brenda London have lived in Faubourg St. John since October, 2005. Brenda is a native of New Orleans and Charlie has been in the area since 1975. Brenda works on the Outreach Committee and was FSJNA’s treasurer for 4 years. Charlie helps out where he can but his main focus since 2006 has been Faubourg St. John’s neighborhood website and social media presence. 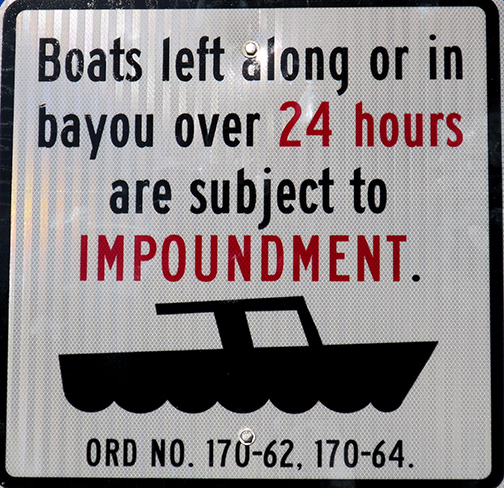 He was also a board member of the Louisiana Landmarks Society for two years. Charlie and Brenda live on Grand Route Saint John and love the eclectic nature of Faubourg St. John. They are also enamoured of Faubourg St. John’s architectural gems and the neighborhood’s significant contribution to the founding and growth of New Orleans. With its great restaurants, grocery stores and friendly shops, Charlie and Brenda believe there are not a lot of reasons to venture far from Faubourg St. John. Everything you need is right here! Not all board members are comfortable with a feature about themselves. A list of the entire board is available here. Help make your neighborhood better. Join today! Without you, there is no us. Join today!